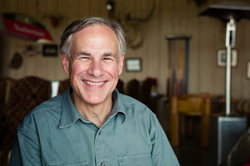 Greg Abbott, Class of 1984, was elected governor of Texas November 4. A Republican who currently serves as Texas’ Attorney General, Abbott won by a wide margin against the Democratic candidate, Wendy Davis, a Texas state senator. Originally from Wichita Falls, Texas, Abbott earned his undergraduate degree in business at the University of Texas before earning his law degree at Vanderbilt. After law school, he and his wife Cecilia moved to Houston, where Abbott had accepted a position as an associate with Butler & Binion. Just two months later, Abbott was jogging as a break from studying for the bar exam when a storm-damaged oak tree suddenly crashed down, crushing him and severing his spine. After starting his career in private practice, Abbott served as a state trial judge starting in 1993, was appointed by then-Governor George W. Bush to the Texas Supreme Court in 1996, and then was elected state attorney general in 2002. Abbott’s record as Texas’ attorney general includes many high-profile cases and important enforcement actions. Early in his 12-year tenure, he established dedicated units to focus on online sexual predators and Medicaid fraud and made collecting delinquent child support a priority. In 2005, he filed suit against Sony BMG Music Entertainment, marking Texas as the first state in the nation to bring legal action against a company for installing illegal ‘spyware’ on devices. He famously defended the state’s Ten Commandments monument, which had stood on Texas’ capitol grounds for 40 years, winning a 5-4 victory before the U.S. Supreme Court. As Texas’ attorney general, Abbott has filed 30 lawsuits against the U.S. government. Abbott and his wife, Cecilia, live in Austin with their daughter, Audrey, a high school senior.